WHITE WALL, organized at Beirut Art Center in association with Fondation Saradar and a team of three curators, was an exhibition in which one of the main objectives is to give new impetus to the Lebanese graffiti scene. Fourteen international artists, from Europe, North America, South America, together with artists from Egypt and Tunisia, with diverse visions and street art practices, were invited to share their passion and expertise. 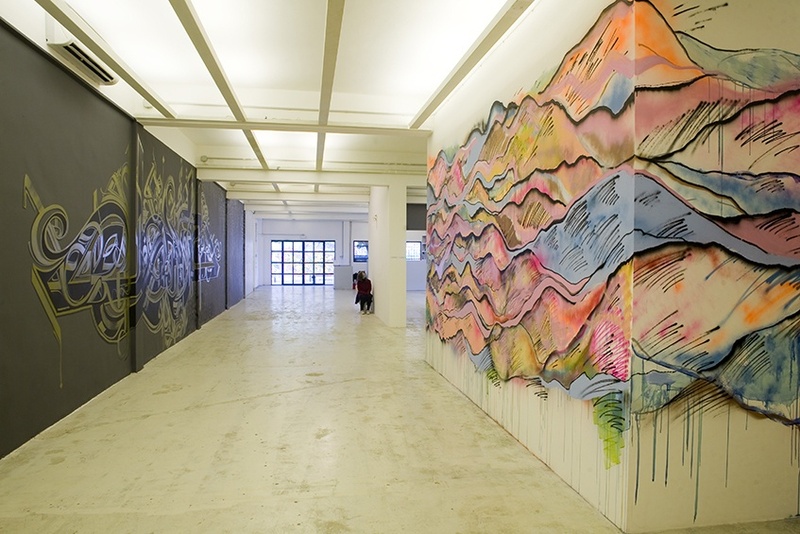 WHITE WALL, organized at Beirut Art Center in association with Fondation Saradar and a team of three curators, was an exhibition in which one of the main objectives is to give new impetus to the Lebanese graffiti scene. Fourteen international artists, from Europe, North America, South America, together with artists from Egypt and Tunisia, with diverse visions and street art practices, were invited to share their passion and expertise. Beirut Art Center hosted an exhibition, while the show was spread over the streets of Beirut, creating a dynamic interaction between the exhibition’s venue and the city. 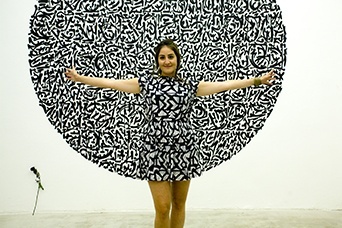 Nineteen Lebanon-based artists – the figureheads of the Lebanese street art and graffiti scene – participated in the various WHITE WALL activities and outdoor interventions throughout Beirut. Since the Civil War, public space in Lebanon had been occupied by inscriptions and stencils related to war and sectarian politics. Western-style graffiti appeared infrequently as of the mid-1990s. It was not until 2005 that a new scene emerged, taking on the task to create a uniquely Lebanese style of this art form. This scene is now burgeoning and the streets of Beirut have witnessed the birth of new artists mixing caustic stencils, western influences and Arabic graffiti. These interventions contrasted with public expectations, since they promoted unity over division and maintained a humorous and often critical look at Lebanese society. One of the key issues raised by this event is to understand how it is possible to bring an inherently outdoor and accessible art to an indoor space like Beirut Art Center, without betraying the idiosyncrasy of this art. While the first graffiti exhibition was already held in 1976 in New York City, this remains a challenge until today. The title, WHITE WALL, confronted the white walls of the galleries with the streets of the city, a challenging prospect for a street artist. A roundtable at Beirut Art Center organized by Fondation Saradar focused on the phenomenon of Lebanese graffiti and its evolution from a message of war to a contemporary artistic expression. At the same time, items related to street art were on display at Beirut Art Center. Visitors were able to find a selection of books as well as graffiti-styled bags by « Sarah’s Bag », designed in collaboration with the artists. Promote public space as important and legitimate as a site for social and artistic engagement.